Privacy experts are calling on Prime Minister Scott Morrison and Home Affairs Minister Peter Dutton to respect democratic processes and stop attempting to coerce Parliament to push through increased law enforcement powers. “Conflating terrorism with encryption, as the Ministers have attempted to do, is dangerous and wrong. 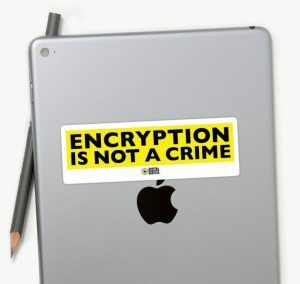 Law enforcement and intelligence agencies have considerable powers at their disposal to deal with the threat of terrorism and there is currently no evidence that strong encryption has hampered their efforts to do their job,” said Digital Rights Watch’s Lizzie O’Shea. Ms O’Shea made the comments in reaction to the Prime Minister and Home Affairs Minister’s recent calls for the Parliamentary Joint Committee on Intelligence and Security (PJCIS) to hurry up in its inquiry into the Telecommunications and Other Legislation Amendment (Assistance and Access) Bill 2018. “In demanding a truncated timetable for this Bill, the government is disrespecting the Australian people and treating parliamentary process with complete contempt,” said Ms O’Shea. “Above all else, we must ensure that our democratic systems of review are allowed to operate without interference from Ministers of the day. The committee must be given the time and space to properly assess the risks and provide clear and constructive feedback to the Parliament. We have one chance to get this right, and if this Bill passes into law in its current form, it will create significant risks to our digital security,” said Ms O’Shea. “Experts in cryptography, cybersecurity and human rights all agree that this poses a very serious threat to our digital infrastructure. We don’t want to see yet another example of law enforcement and intelligence agencies putting their interests above those that they are suppose to serve,” she concluded.